All Products > "04115 Revell 1/72 Fairy Swordfish Mki/Iii"
The Swordfish proved to be one of the few biplanes that remained in service throughout World War II. 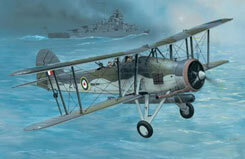 It was used from 1936 onwards by 25 squadrons of the Fleet Air Arm. 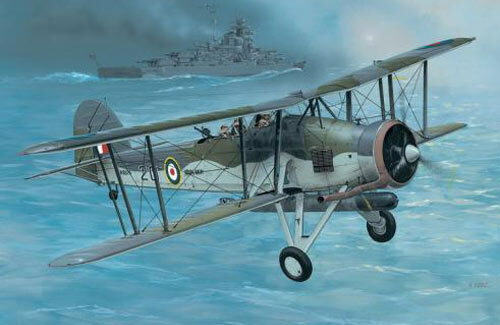 Many important combat missions were successfully flown by the Swordfish, the most famous of which was the attack on the Bismarck in May 1941.